Major​ ​depression​ ​is​ ​one​ ​of​ ​the​ ​most​ ​common​ ​mental​ ​disorders​ ​in​ ​the​ ​United States. It​ ​causes​ ​severe​ ​symptoms​ ​that​ ​affect​ ​your​ ​thinking,​ ​feeling,​ ​and​ ​how​ ​you​ ​handle daily​ ​activities,​ ​such​ ​as​ ​sleeping,​ ​eating,​ ​or​ ​working.​ ​Therefore,​ ​it​ ​is​ ​very important​ ​to​ ​have​ ​an​ ​accurate​ ​diagnosis​ ​and​ ​treatment​ ​plan. Persistent​ ​Depressive​ ​Disorder​ ​-PDD​ ​​(also​ ​called​ ​Dysthymia)​​ ​​is​ ​a​ ​depressed mood​ ​that​ ​lasts​ ​for​ ​at​ ​least​ ​two​ ​years. Perinatal​ ​Depression:​ ​​Women​ ​with​ ​perinatal​ ​depression​ ​experience​ ​full-blown major​ ​depression​ ​during​ ​pregnancy​ ​or​ ​after​ ​delivery​ ​(postpartum​ ​depression). Psychotic​ ​Depression:​​ ​occurs​ ​when​ ​a​ ​person​ ​has​ ​severe​ ​depression​ ​and​ ​in addition​ ​have​ ​psychosis​ ​symptoms​ ​such​ ​as​ ​having​ ​delusions​ ​(false​ ​fixed​ ​beliefs) or​ ​hearing​ ​or​ ​seeing​ ​upsetting​ ​things​ ​that​ ​others​ ​cannot​ ​hear​ ​or​ ​see (hallucinations). Seasonal​ ​affective​ ​disorder​ ​-​ ​​is​ ​onset​ ​of​ ​depressive​ ​mood​ ​changes​ ​at​ ​the beginning​ ​of​ ​Winter​ ​months.​ ​Also​ ​referred​ ​as​ ​Winter​ ​Depression,​ ​leads​ ​to​ ​social inhibitions,​ ​weight​ ​and​ ​sleep​ ​changes. Bipolar​ ​Depression​ ​-​​ ​is​ ​different​ ​from​ ​Unipolar​ ​Major​ ​Depression​ ​Disorder. Person​ ​with​ ​bipolar​ ​depression​ ​experience​ ​extreme​ ​lows​ ​and​ ​highs​ ​in​ ​mood. Depression​ ​Secondary​ ​to​ ​Medical​ ​Illness​ ​-​ ​​if​ ​ignored​ ​or​ ​neglected​ ​in​ ​many cases​ ​depression​ ​worsens​ ​the​ ​outcome​ ​of​ ​medical​ ​illness. It​ ​is​ ​extremely​ ​important​ ​to​ ​recognize​ ​and​ ​understand​ ​the​ ​type​ ​of​ ​Depression​ ​that​ ​is affecting​ ​you.​ ​Depression​ ​affects​ ​individuals​ ​in​ ​different​ ​ways.​ ​Our​ ​goal​ ​at​ ​Vital Psychiatry​ ​is​ ​to​ ​educate​ ​you​ ​about​ ​your​ ​diagnosis​ ​and​ ​provide​ ​you​ ​with​ ​personalized treatment. Brain​ ​Stimulation​ ​Therapy​ ​(rTMS)​ ​-​ Trans​ ​Magnetic​ ​Stimulation​. 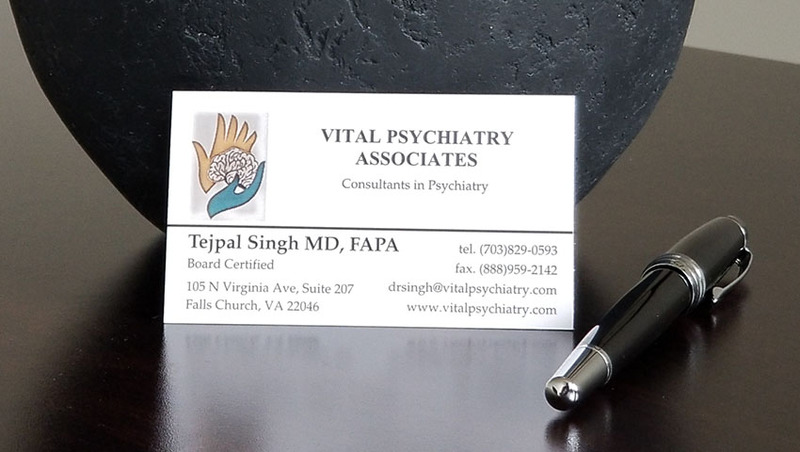 After​ ​meeting​ ​with​ ​your​ ​doctor​ ​at​ ​Vital​ ​Psychiatry​ ​-​ ​your​ ​doctor​ ​will​ ​discuss​ ​the​ ​diagnosis and​ ​form​ ​a​ ​treatment​ ​plan​ ​with​ ​you.